The purpose of the balloon hoist was to show how high a proposed seven-storey replacement building at 15 New Church Road would be. 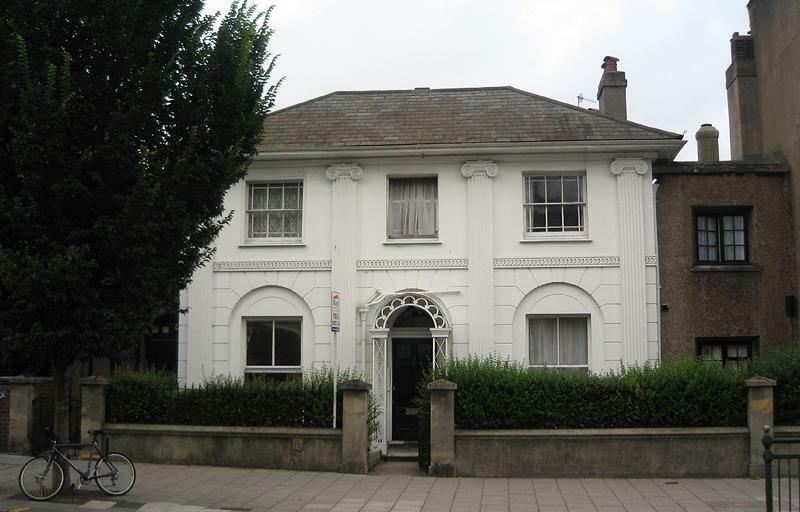 A meeting at Miss Boyce-Stamper’s house, 9 New Church Road, resulted in the formation of the Society. The building went ahead though, which is why we’re now stuck with the drab Pembroke Court instead of the detached mansion that was there previously. Many other campaigns have been fought since but the greatest single battle took place during the 1960s. That’s not to say that things are quiet today but a single particular scheme that would have transformed Hove forever was defeated. 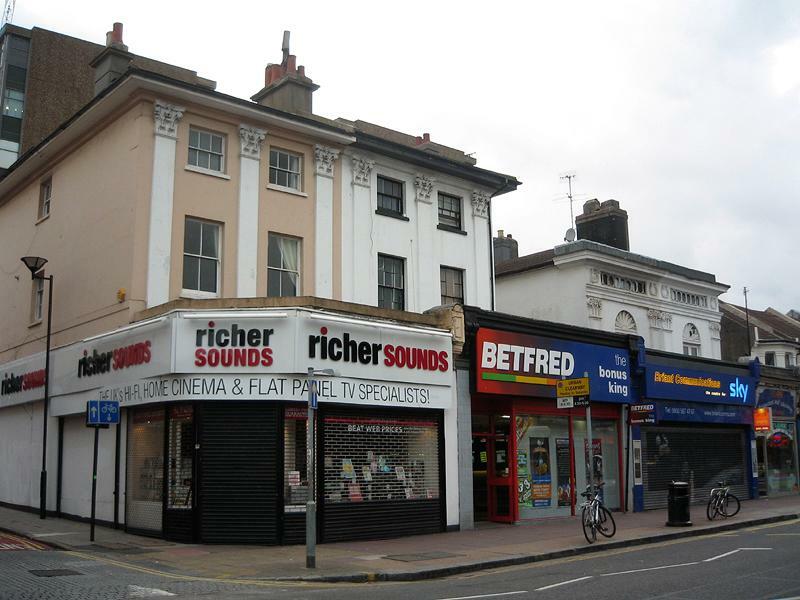 The purpose of Hove Civic Society is to stimulate community interest in the beauty, history and character of Hove and its surroundings. Ian Crossman, the Chairman, told me, "The challenges to our politicians, planners and developers are formidable; they need advice from well informed local people." There aren’t many people in a better position to give such advice. On top of its important planning work, Hove Civic Society arranges a varied programme of events throughout the year. See www.hovecivicsociety.org for details. Harry Gaston probably knows more about one great local institution than everyone else in Brighton & Hove put together. 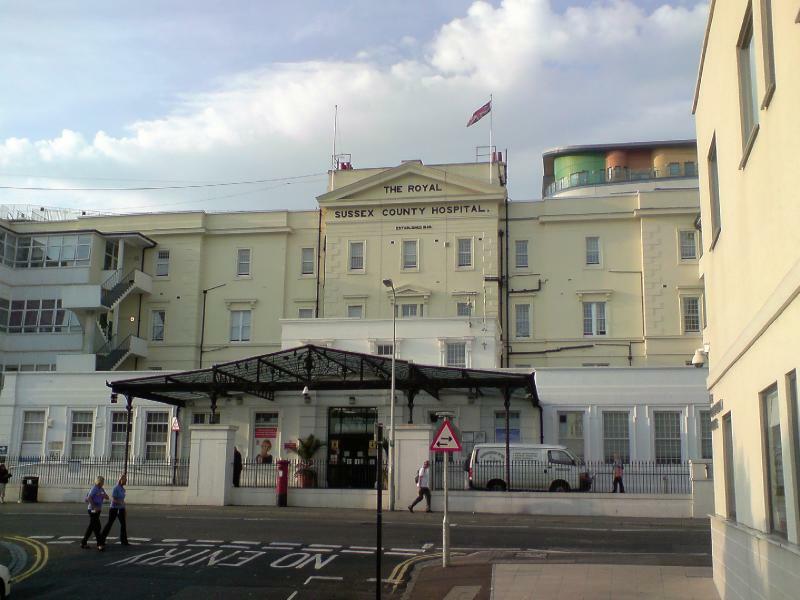 His book, Brighton’s County Hospital, 1828-2007, describes the journey of the "County" from a small establishment with just 72 beds to the regional health centre that it is today. As a young architect, Charles Barry, went up against two established locals, Wilds and Busby, in a competition to design the now famous St. Peter’s Church. In 1825, they went head to head again: to design a new hospital for the poor. On each occasion, Barry got the job. 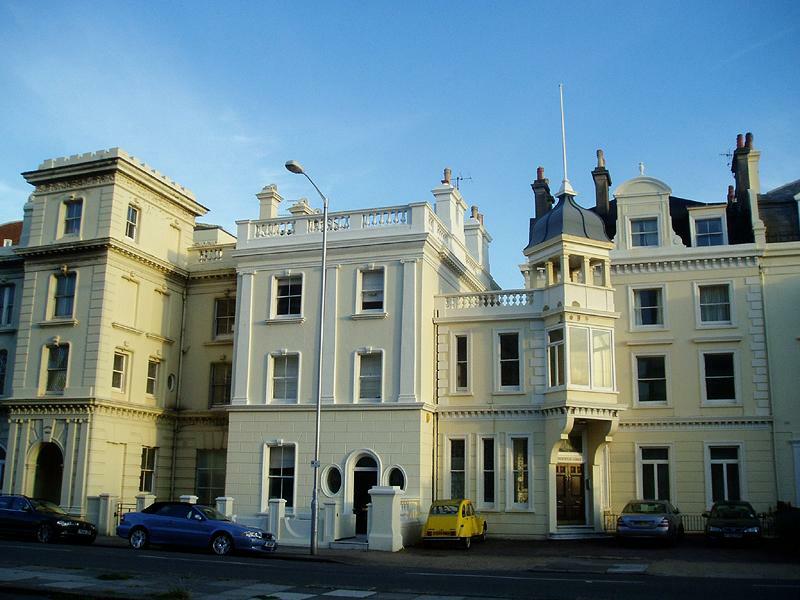 His hospital, seven windows across, opened as the "Sussex County Hospital & Sea Bathing Infirmary" in 1828. Just as Charles Barry received a knighthood from Queen Victoria in 1852, royal recognition was bestowed upon the County by King Edward VII in around 1905. Thenceforth, it was officially called the Royal Sussex County Hospital. Soon after construction, two sizeable extensions were added to Barry’s original building – the Victoria Wing opened in 1839 and the Adelaide Wing soon afterwards. Symmetry was retained but from then on, it all went downhill on the architectural front. Countless additions have taken place since including a non-descript tower-block that was completed in 1969. Of course, looking pretty is not the primary function of a hospital but calming surroundings are surely conducive to recovery. It’s not all about buildings though. A fire in 1872, two World Wars, the formation of the NHS in 1948 and the bombing of the Grand Hotel in 1984 have all provided considerable drama on top of the usual day-to-day challenges that go on inside hospitals. 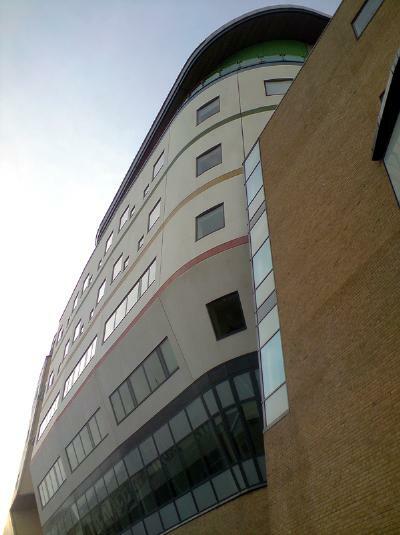 Today, Brighton & Sussex University Hospitals NHS Trust runs the Royal Sussex County Hospital along with the Princess Royal Hospital in Haywards Heath. The County has expanded so much though that Barry’s original building accounts for just a minute fraction of the overall floor area. The construction of the new children’s hospital, a surprisingly attractive slab with coloured stripes, may well mark a new era of quality buildings. In the past, a masterplan has clearly been lacking. If it was up to me, all or most of the extensions to Barry’s attractive and symmetrical structure would be removed; even the tasteful ones. Replacement structures would be detached, tall, orderly, efficient and amazing. Brighton’s County Hospital is available from City Books on Western Road and all other healthy local bookshops. 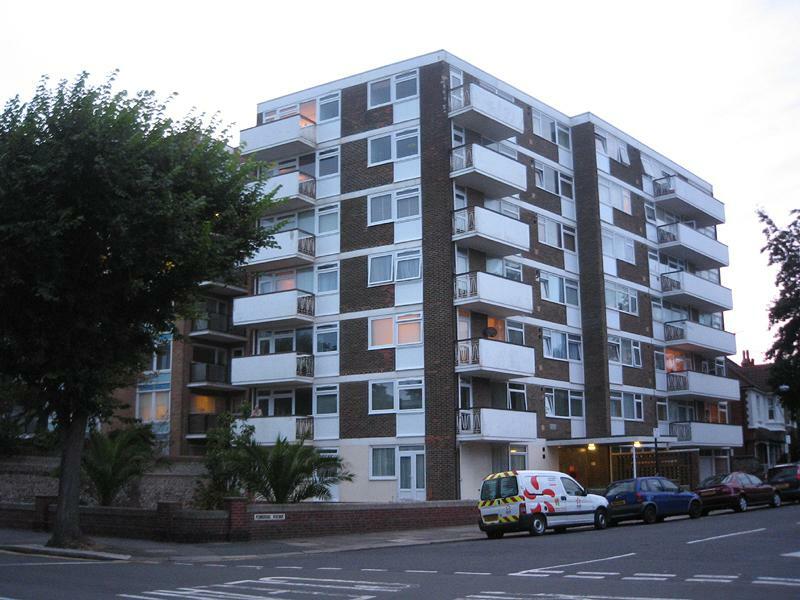 A two bedroom flat in Hove for around £600,000? At these prices, Lewes Crescent flat owners would need to get saving. Courtenay Terrace’s seven imposing buildings – Courtenay House, Tye, Beach, Lodge and Towers along with Courtenayside and Little Courtenay – are all Grade II Listed. 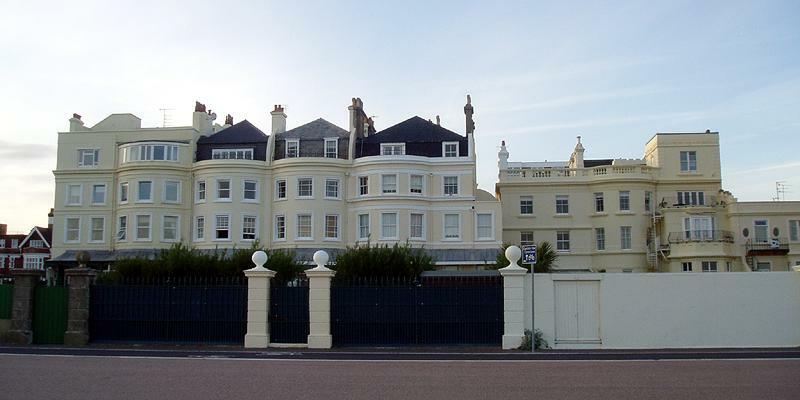 The first four of these, each with beach-facing canopies, were built in around 1840 but Courtenay Towers and Courtenayside were added in the 1930s when an adjacent large seafront villa was converted into flats. 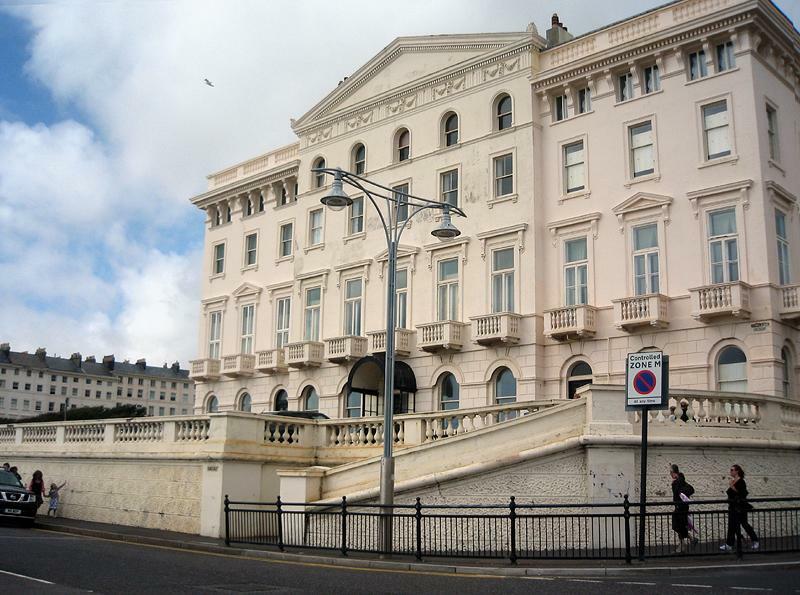 Although residents of Courtenay Gate (the fine Art Deco block overlooking Hove Lawns) and Flag Court (the neighbouring Siberian monstrosity) include Courtenay Terrace within their addresses, I’m only concerned with the actual terrace itself. Courtenay Terrace is likely to have taken its name from the Honourable Elizabeth Courtenay who is commemorated in a wall tablet at St. Andrew’s Church, Waterloo Street. The spelling has varied over the years with ‘Courtnay’ and ‘Courteney’ having been used previously. Courtenay Terrace is rather different to the more famous seafront developments in that it faces north, not south. Due to the size of the rear gardens – with back gates opening directly onto the promenade – this potential liability is in fact a great asset; hence the price. It was once the only development on the South Coast with a private beach but this was compulsorily purchased in 1908 so that the promenade could be created. The year afterwards, plans were drawn up for Western Esplanade by Hove Lagoon (Millionaires’ Row!) to be built which included a private beach. There’s mounting pressure to make all private beaches public and fairly recent right-of-way legislation is one big step in this direction. At the very least, change should be gradual and compensatory towards current owners – property rights should be respected. In my opinion, a good argument exists for there never to have been development south of the coast road. Of course, it’s too late to change the arrangement now but Brighton & Hove City Council could at least increase the gaps between nearby beach huts so that one can glimpse the sea more easily from the road! Architecturally, Courtenay Terrace is a real mix, made all the more interesting by a varying building line and height. The style could be described as ‘extravagant Victorian seaside’. Despite the main road location, calm shades of cream paint combined with various fairytale outcrops make for a pleasing proposition to say the very least.